TARGETED TWICE: The Kings 24-hour supermarket in Gasparillo has been robbed twice for Christmas. After being robbed twice in one month a Gasparillo proprietor is fearing for his life and his employees. Andy Mohammed, 49, the owner of ‘Kings Market 24-hr’ supermarket was robbed by armed gunmen of an disclosed amount of cash on December 20 and 22 last year. The supermarket has been in existence for the past four years continues to service customers from Gasparillo, Tabaquite, Williamsville and environs. 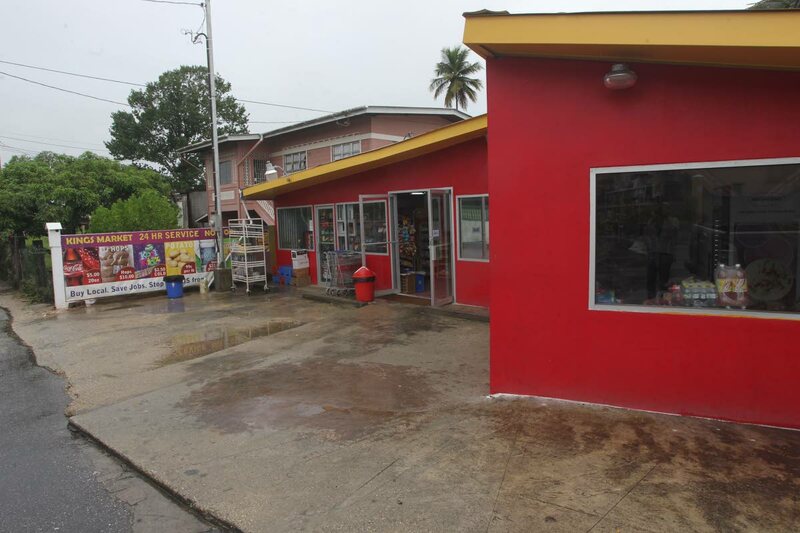 It is the only 24-hour grocery within the community of Bedeau Street in Gasparillo. “Crime in this country is worsening everyday and the criminals are picking their targets which are the business owners and you just never know who is next. It is a really scary thing to have a business in this country,” he said. According to reports, the first robbery occurred on December 20 at about 2.30 am. Reports said that four armed men entered the business place and announced a hold up. They escaped with an undisclosed sum of money. Employees were also robbed of their cellphones. The second robbery occurred at about 8.30 am two days later. Reports said that armed men entered the grocery and announced a hold up and again escaped with an undisclosed sum of money. Reports said that the men also assaulted a security officer on duty. “This is my livelihood and I have worked so hard to build myself and to be living in fear is ridiculous but I guess that this is the reality we are faced with in this country,” Mohammed said. He said that since the robberies some of his employees have opted to leave the job. “My employees are scared for their lives. They are just trying to make an honest dollar. I am also scared so I understand how they are feeling. It is hard knowing that any day any minute someone can walk through the door with guns and point to your face and threaten to kill you,” Mohammed said. Police are expected to review closed circuit television (CCTV) cameras at the supermarket. Mohammed is calling for more police patrols in the area and have the perpetrators arrested. Police have also reported a recent spate of robberies in the district during the month of December. Mohammed strongly believes that the robberies are being committed by the same group of men. “These men don’t want to work and would rather rob than make an honest dollar. Why are they doing this?” he questioned. Gasparillo police officers are investigating. Reply to "Earning living robbing people"